Credit: NASA/PACE. Download this image (JPG, 2.4 MB). 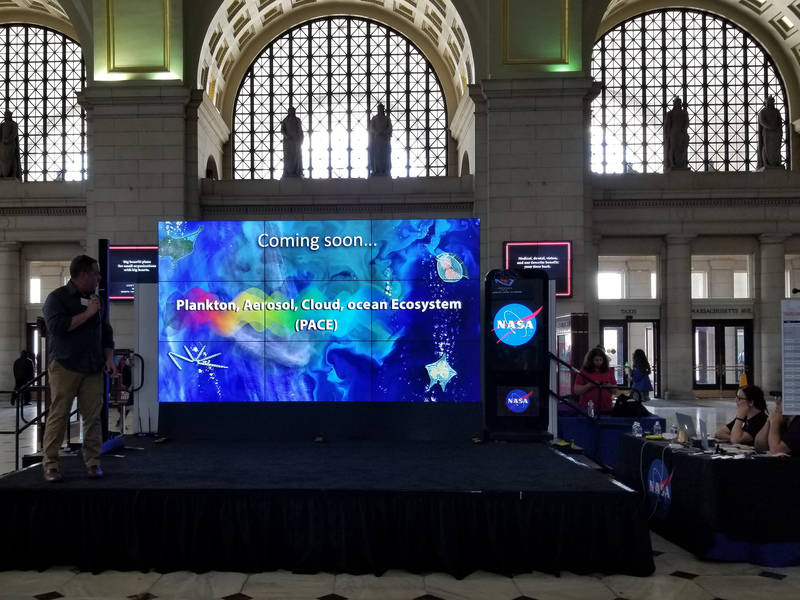 [19-Apr-18] Dr. Jeremy Werdell, PACE Project Scientist, begins a hyperwall talk at the 2018 NASA Earth Day event at Union Station in Washington D.C. The talk, entitled, "Satellites, Ships, Shoes: Observing the Living Ocean From Above" was an overview of the many ways that ocean color data can be collected, including citizen science efforts, shipboard measurements, and satellite observations.